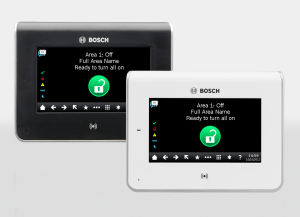 Using the latest proven Bosch technology, we believe that everyone deserves to live in a safe and secure environment. Through our dedication to superior quality and technical innovation we push ourselves to develop new products and solutions that put us at the forefront of our industry. Our approach is based on three pillars. Firstly, we provide the highest quality of relevant IP video images anytime, anywhere. Secondly, we guarantee the most efficient bitrate and lowest storage requirements. And thirdly, we deliver superior intelligence and analytics at the edge We gladly introduce some of our latest in-camera technologies. Each of them specifically designed to meet your needs and demands, because our focus is on creating relevant IP video solutions. Discover how your surveillance situation can benefit from these innovations. Throw Out Your Old Keys! The New Key to the Future is Electronic Access Control! Keycards can help you control and monitor people or vehicles through your business’s doors, turnstiles and parking lot barriers. Better yet, you no longer need to worry about managing old-style mechanical keys, or your employees duplicating or losing them! Need more? Scan eyes or read thumb prints through a customized biometric system, the most advanced system available today in access control. All this can be done for the cost of rekeying many facilities just a few times. Many customers start with installing access control on their main employee entry and computer room…other times every door in a facility warrants access control. Whether large or small, we have a solution that is right for you! Provides a solution that works with your alarm system, eliminate manual alarm code entry – You don’t need to punch in a code, automatically arms or disarms your security system on time, logs and track personnel movement, connects to your network. Provides an enterprise solutions with superior open architecture software. Integration of several systems like: CCTV (cameras), Alarm, Intercom access across several buildings, unification of your systems and facilities, and easy-to-use graphical user interface (GUI).